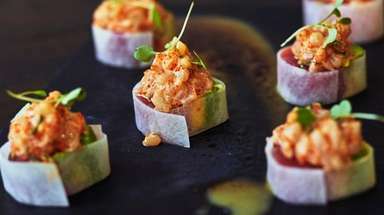 From Instagram's most famous pets to recycled La Croix cans, these suggestions at all price ranges are sure to put a twinkle in the recipients' eyes. 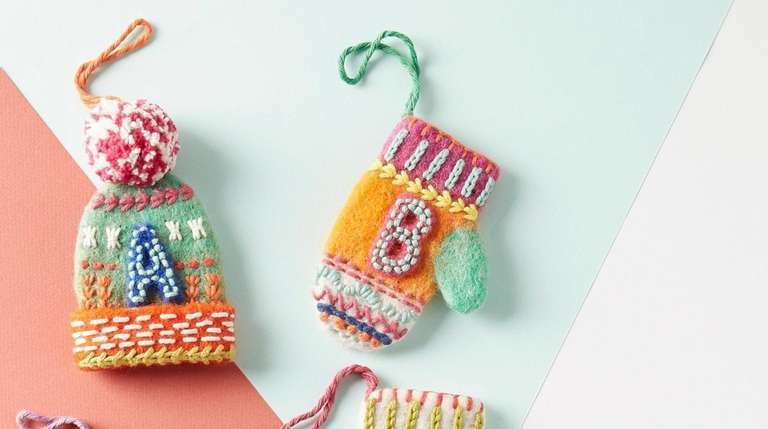 You may want to deck the halls with boughs of holly, but as far as trimming the tree, these buzzed-about ornaments will fling a little extra flair into your holiday celebrations. 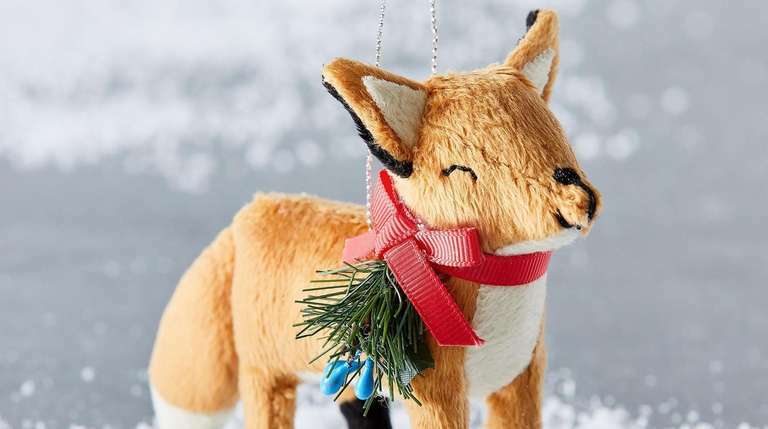 From beverages boozy and bubbly to animals of all stripes and sizes, these decorations will add some of the most talked-about trends to your tree while still leaving plenty of room for the kids' homemade creations and grandma's traditional favorites. This cozy ball of yarn is perfect for the fashionista in your home. 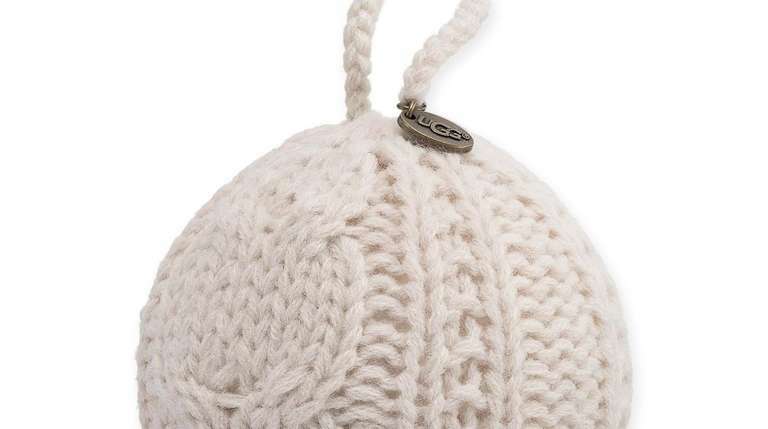 The UGG Classic Cable Knit Christmas Tree Ornament features a cable knit pattern, and is 3.5 inches in diameter. $5.99 at bedbathandbeyond.com and in some Bed Bath & Beyond stores. These glittering glass ornaments come pre-filled with whisky (or gin, or vodka), and are perfect for adding a shot of grown-up sparkle to your tree. Available in sets of six, each individual ornament holds just over 1.5 ounces. 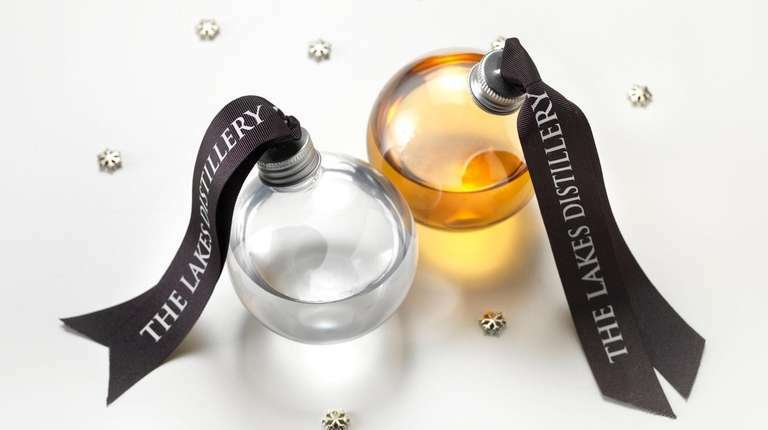 About $38 for a set of six, including gift box, at lakesdistillery.com. Mittens, hats and sweaters get shrunken and personalized on these adorable 4.5-inch high Bundled-Up Monogram Ornaments. Handcrafted of wool, so each ornament will have slight variations. $10 at anthropologie.com. 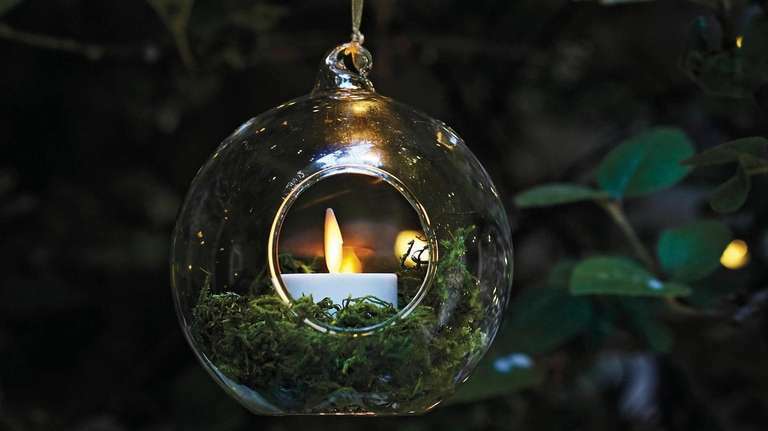 Filled with tea lights, small baubles or even candy, these 4-inch diameter blown Glass Tea Light Holder Ornaments bring a light, warm element to holiday décor. After the holidays, hang them in windows to display all year long. $47.20 for a set of 12 at frontgate.com. 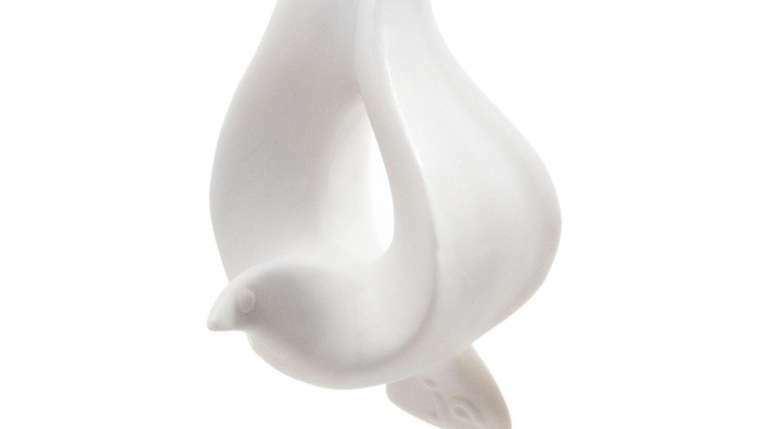 Bring a wing and a peaceful prayer to your tree with this Flying Dove Ornament. Handmade from unglazed porcelain, the modernist bird is 3.25 inches high and comes in a box for gifting. $24 at jonathanadler.com. 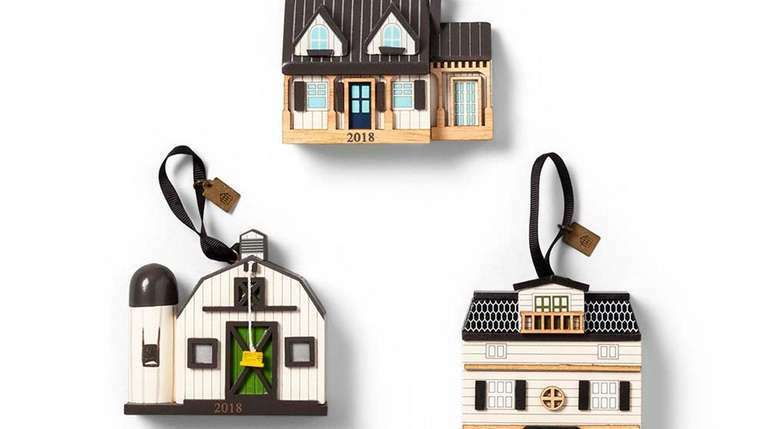 Whether you live in a small apartment or a massive mansion, these sweet wooden Doll House/Barn/Farm House Ornaments from Hearth & Hand with Magnolia will bring some country charm to your tree. The rustic ornaments come with black ribbons for hanging. 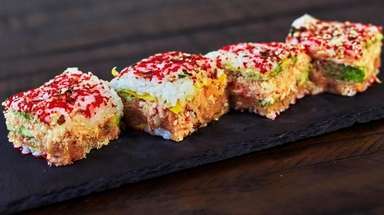 and each piece is about 10 inches high. $17.99 for a set of three at target.com and select Target stores. This 6-inch high VINTER 2018 Glass Dome Ornament adds a touch of whimsy to the holidays. 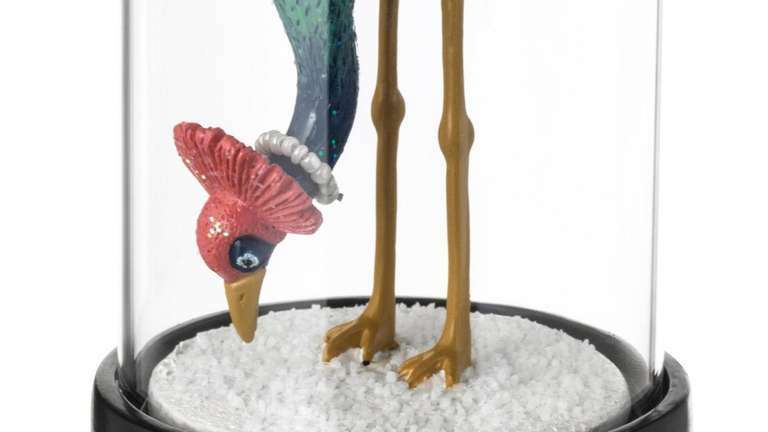 The colorful plastic bird sits on a plastic base with a glass dome. $12.99 only in IKEA stores. 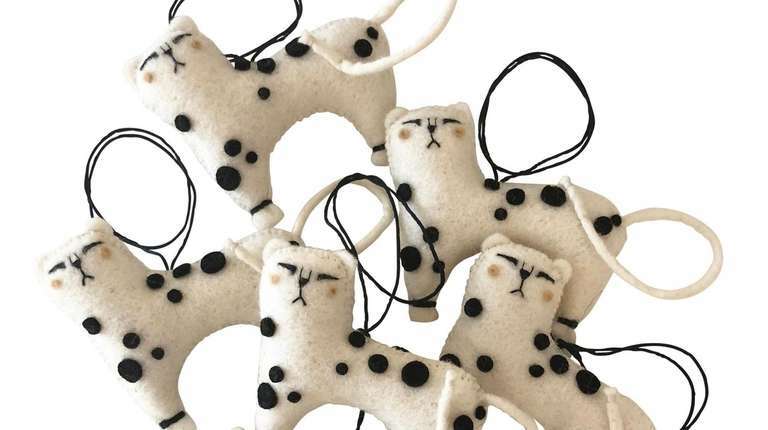 Handmade in Kyrgyzstan, each of these natural wool Felted Spotted Cat Ornaments is 3.5 inches long. The company that manufactures them partners with the women artisans who make the ornaments, so each piece not only looks good, but is also fair trade. $14 each at shop.ibumovement.com. 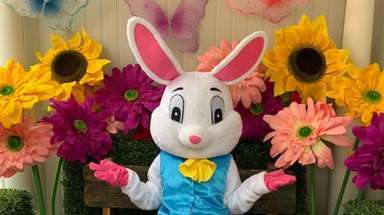 Some of Instagram's most famous pets, including Teddy the Shetland, Juniper Foxx (pictured), Popeye the Foodie Dog, and Pudge the Cat, have been rendered in plush felt to benefit the ASPCA. 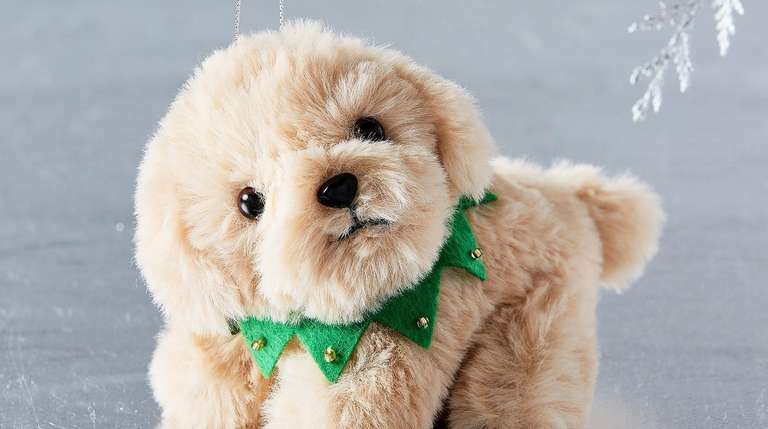 For each cuddly Instafamous pet ornament sold, West Elm will donate $1 to the ASPCA. $8 at westelm.com. 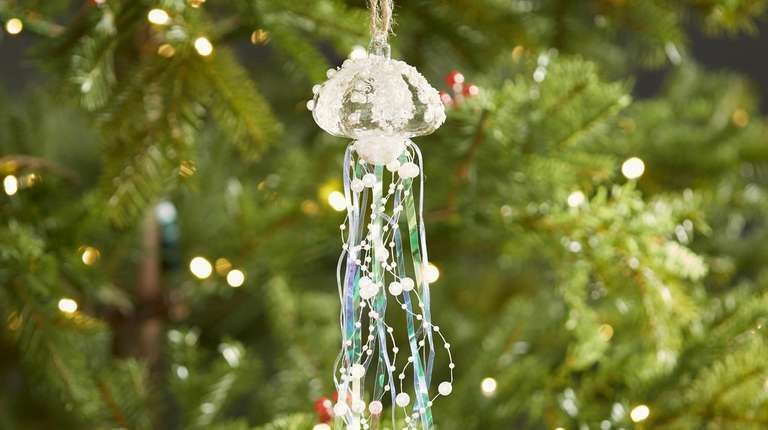 Bring the ocean to life with this 12.5-inch-long Pearl and Tinsel Jellyfish Ornament. Made of glass, sand and plastic, this ornament comes with its own jute hanging string. $10.50 in select Pottery Barn stores. 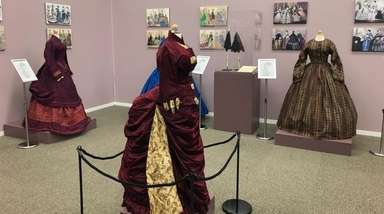 Four famous women from history — Jane Goodall, Rosie the Riveter, Rosa Parks and Amelia Earhart — are rendered in hand-chiseled Urapán wood using an electric lathe. The 3.5-inch high dolls are brightly painted and made in Colombia. $36 for the set at store.moma.org. 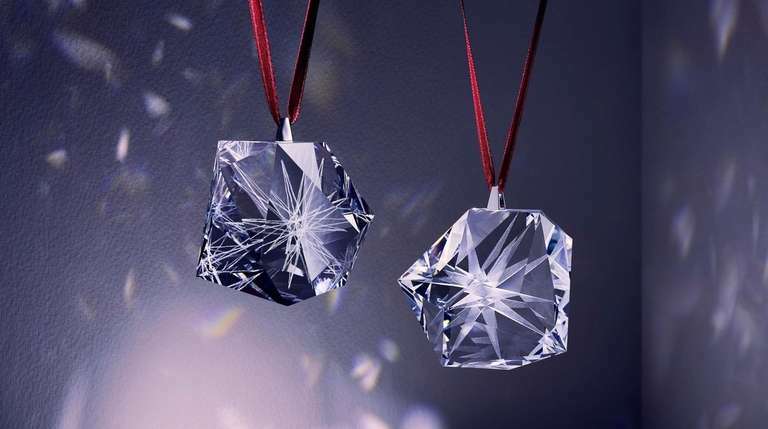 Architect Daniel Libeskind, who was chosen by Swarovski to redesign the 2018 Rockefeller Christmas Tree star, also created a special collection of crystal holiday ornaments for Atelier Swarovski Home. 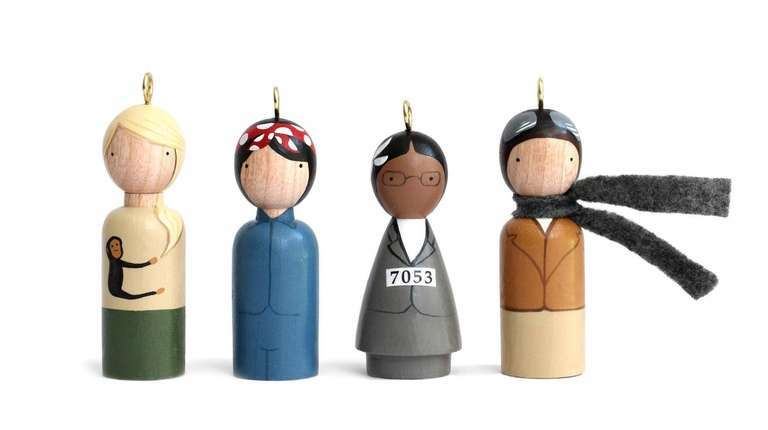 Each ornament is just under 2 inches wide, and comes with its own hanging string. From $89 at atelierswarovski.com. 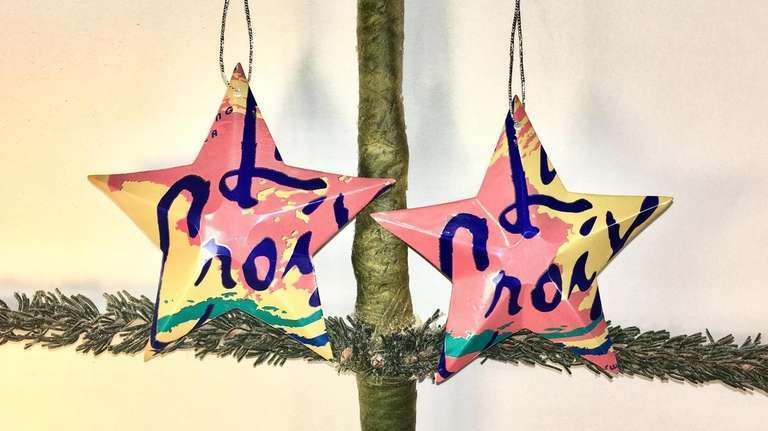 For the La Croix lover who has everything, gift these La Croix Christmas Star Ornaments. 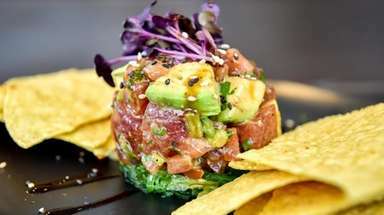 Handmade in Texas of recycled cans of the flavored sparkling water, each star is about 3.25 inches wide. $8.99 a pair at texastiedyeguy.com.